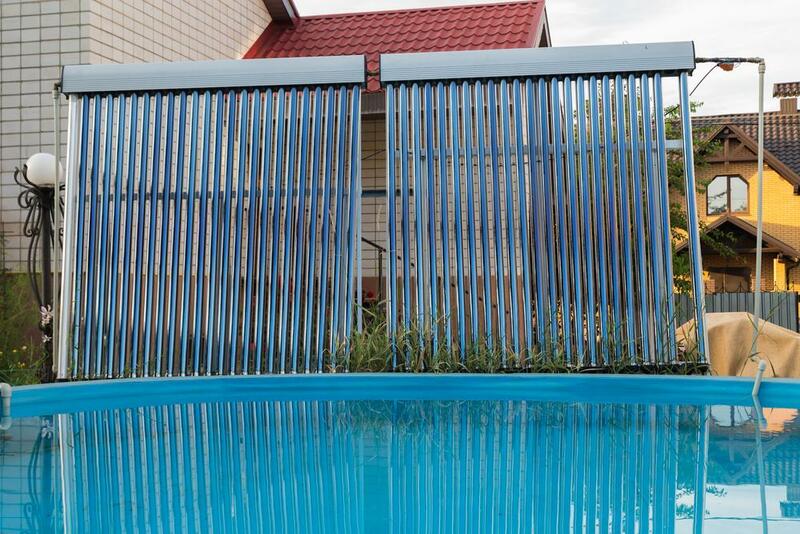 Whether you choose to buy a solar pool heater or DIY, here’s what you need to know. There’s no better way to spend those dog days of summer than splashing around in your backyard swimming pool. But heating your pool to maximize your backyard investment can be expensive. A solar pool heater can significantly slash your electric or gas bill with the added benefit of protecting the planet. It can even stretch out your swimming season, making those sunny summer afternoons seem to last a little longer. If you live somewhere hot, a solar pool heater can also cool the water, making it all the more refreshing on those 110-degree desert days. Read on to learn more about solar pool heaters, including how they work and how much money they’ll save you. Solar pool heaters are made up of four parts: a filter, a pump, a solar collector, and a diverter valve. The pump draws the water into the heating system and pushes it through the filter to remove any debris. After passing through the filter, the clean water travels to the solar collector. 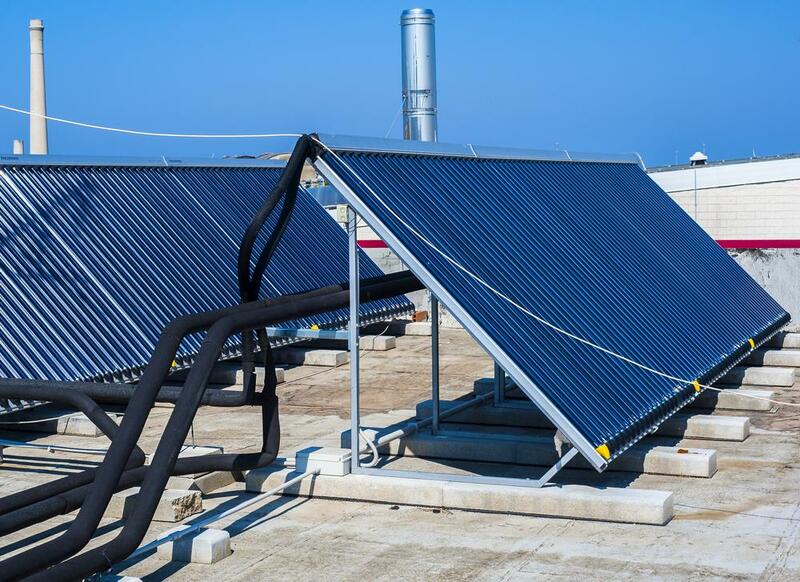 Solar collectors are placed in areas with lots of sunlight to absorb and heat the water. When the water is warmed, it flows through the system to the diverter valve, which keeps the backflow out of your solar pool heater. From there, the warmer water flows back into the pool. The solar pool heater repeats the process until the water reaches your desired temperature. Solar pool heaters typically run automatically. At the beginning of the season, set your control to “auto” and program your thermostat to your desired temperature. You shouldn’t have to touch it again until you turn it off at the end of the season. What Are The Costs And Savings Of A Solar Pool Heater? Buying and installing a solar pool heater will typically cost between $3,000 and $4,000. It takes between 1.5 and 7 years to recoup that cost, depending on your local fuel costs and how much time you spend running your pool heater, according to the Department of Energy. Solar pool heaters last longer than gas or electric ones do, which will add a bigger return on your investment. Their up-front cost is comparable to an electric heater and more expensive than gas pool heaters. Since they don’t use electricity or gas to heat your pool, they are cheaper to operate. Just like the panels on your home, solar pool heaters have a lifespan of 15-20 years and require minimal maintenance. Related: The Truth About Solar Panel Cost: How Affordable Are Solar Panels? Want to save even more money by going solar? Find out how much you'll save. The information is free, and there’s no obligation to buy. Should I Buy A Solar Pool Cover? If you’re buying a solar pool heater, you don’t need a solar pool cover. Consider it as an extra that will help you capture additional savings. 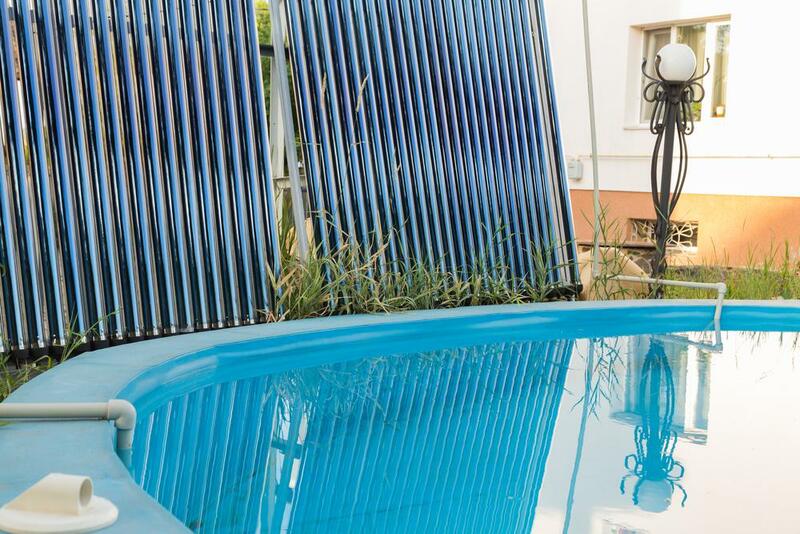 Not only does a solar pool cover keep the heat from escaping when you’re not swimming, it also traps and absorbs solar energy to create its own extra heat. If you double up and use a solar pool heater with a solar pool cover, the consistently warmer temperatures could keep the water at a pleasant temperature to use later in the season. What Are Some Solar Pool Heater Drawbacks? While there are many benefits to using a solar pool heater, we wouldn’t be giving you all the information if we didn’t discuss potential downsides. Solar pool heaters are a long-term system. It will keep the water in your pool heated at a consistent temperature, but it takes time to work. If you need something to heat your pool quickly, solar may not be your best option. Solar works best in direct sunlight. Solar pool heaters will have limited warming capacity on overcast days and in the winter months. Solar pool heaters are large. You’ll need enough panels to create an area that’s at least 50% of your pool’s size. Depending on where you live, you may need more. What Else Do I Need To Know About Solar Pool Heaters? When you’re looking to buy and install a solar pool heater, there are a just a few more points to consider. Find the correct size. You’ll want to install enough panels to cover at least 50% of your pool’s size. If your pool is 500 square feet, you’ll need at least 250 square feet of solar panels. Determining the number of solar panels isn’t an exact science — it all depends on where you live and how long you want to use your pool each year. Choose the best location. The ideal location to set the panels for your solar pool heater is an area that’s close to your pool, unshaded, and gets at least six hours of direct sunlight. Winterizing is simple. You’ll need to do three things to prepare your solar pool heater for the winter season: make sure it’s drained completely, turn it off, and cover the solar collector. Solar pool heaters aren’t just for in-ground pools. A sun-powered system will heat above-ground pools just as well. Should I DIY A Solar Pool Heater? Making a solar pool heater at home is a simple and inexpensive project. All of the parts and supplies can easily be found at your favorite hardware store. The first step is to create boxes to house the solar collector, which is made from the tubing. Once you’ve created the solar collector, all you’ll need to do is seal the box with acrylic, add a pump, and put it in your pool. 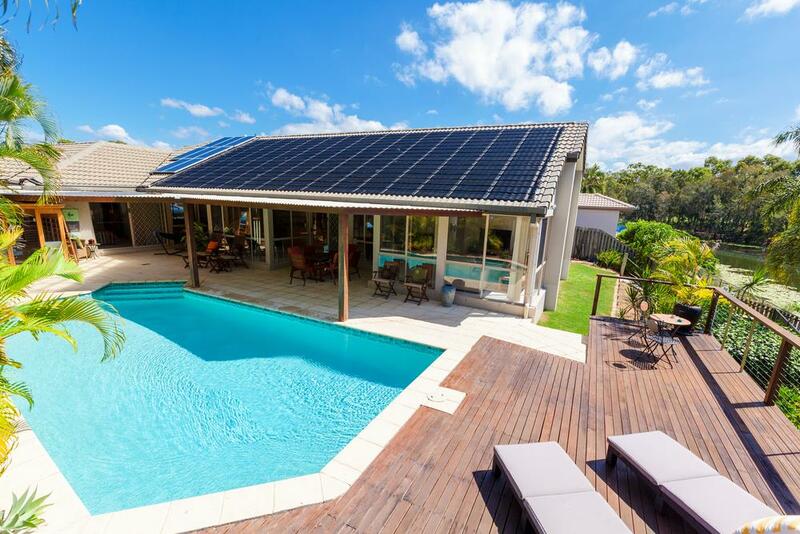 Are you going to switch to a solar pool heater? Share your thoughts in the comments, and check out our solar company comparisons. "A solar pool heater can significantly slash your electric or gas bill with the added benefit of protecting the planet. " If Hurricane Sandy occurred 100 years earlier it may not have flooded lower Manhattan because the sea was about 1ft lower in 1912.